On the 14th April, on its maiden voyage to New York, the Titanic struck an iceberg tearing a 300ft gash in her hull. At 2.20 am on 15th April she sank with the loss of 1,490 passengers and crew. The inquiry into the sinking found that the Titanic only had 20 lifeboats, no proper boat drill or muster and some boats were not filled to capacity. 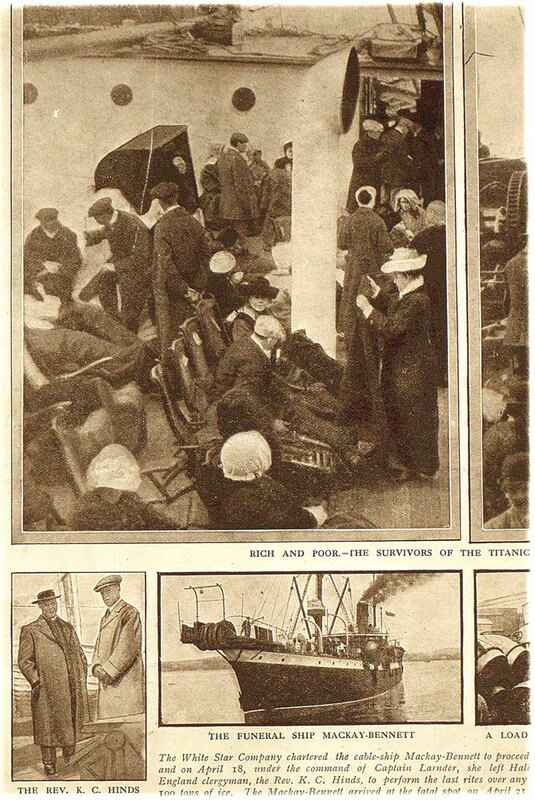 The watertight doors had not been enough to prevent water spilling through the compartments and not enough had been done to save the lives of the third class passengers. 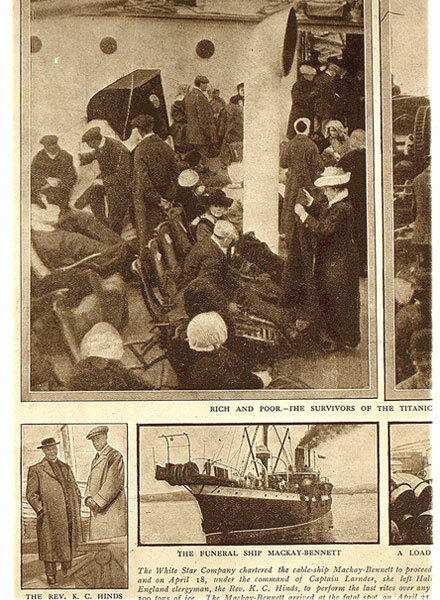 Survivors of the SS Titanic, on board the SS Carpathia, The Graphic, 4th May 1912.